Pilgrim has designed spheres adorned with clear crystals in various sizes and placements. The result is a beautiful and harmonious bracelet with a stunning interplay between the different spheres, colours and surfaces. Bracelet with beautiful, tight chain and decorative crystal-studded spheres. Pilgrim has designed spheres adorned with clear crystals in various sizes and placements. The result is a beautiful and harmonious bracelet with a stunning interplay between the different spheres, colours and surfaces. The forms are soft and follow your movement with ease and elegance. 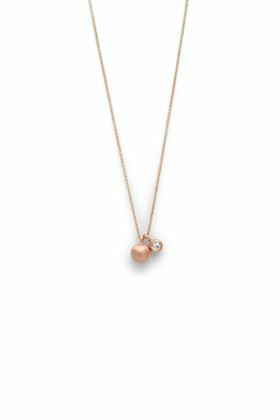 A beautiful necklace with dual pendant of two spheres, the smallest with an outstanding and large, shiny crystal. The pendants form a lovely interplay between the large solid sphere and the small sphere, decorated with a clear crystal. 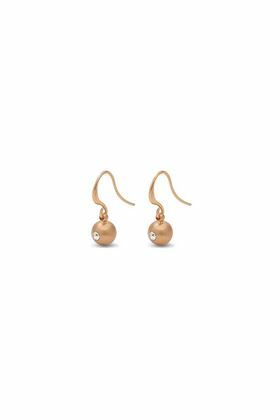 Beautifully classic earrings featuring drops of lightweight spheres inlaid with fine, brilliantly clear crystal. The forms are soft and follow your movement with ease and elegance.